Leveraging on our rich industry experience, we are able to bring forth high performance Financial Binders (CD-300) for the buyers worldwide. 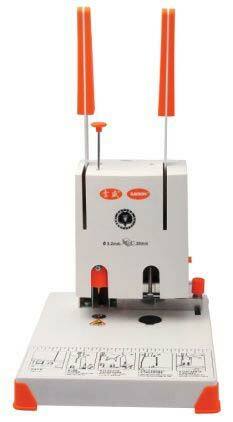 Our Financial Binders have thermal circuit and accurate mechanism for easy punching. Hence, they are ideal for binding project reports, etc. For reasonable prices, contact us. Besides, we never cause shipping delays. Located in China, we are the respectable Manufacturer, Exporter and Supplier of Financial Binder (CD-300).